I think the last time I saw my childhood friend Keisha, was at a B2K concert (don’t judge me) so when we received an inquiry with some familiar names stating “ My friends boyfriend (Anthony) is planning to surprise her (Keisha) with a marriage proposal at the National Harbor“ I could barely contain myself to wait for this moment. Not to take away from Anthony who really did all of the hard work. He already had in mind where he wanted to propose and already set in motion how he wanted to do it. We gave him a few tips on where to stand for best lighting and anxiously hid in the background waiting for him to pop the question. 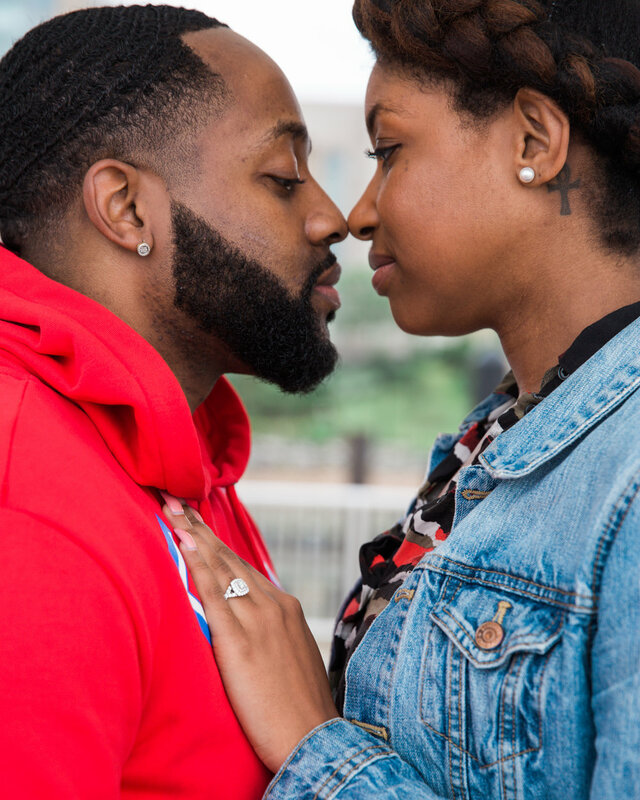 When they arrived, he took her by the hand and led her to the edge of the pier where they looked over the Potomac River and spoke of the first time they visited that location (right before they started dating). Moments later, with Keisha’s attention and left hand in his, Anthony kneeled down on bended knee and asked Keisha to marry him. An unbelievable expression overcame Keisha’s face as she looked down at him and nodded Yes! Anthony sprang off of the ground and tightly hugged his fiancée. They were so engrossed in the moment that they didn’t realize the photographer and videographer (me and Garrett) were slowly approaching them. Keisha spotted us and smiled at the Camera. It wasn’t until I pulled the camera away from my face to say “Congratulations Keisha!” that she realized who I was. “OH MY GOD! MEGAN! AH AND GARRETT!” She told Anthony that we were childhood friends and was completely shocked at everything that has happened in the past 10 minutes. In this moment, she was so happy and completely smitten with Anthony. 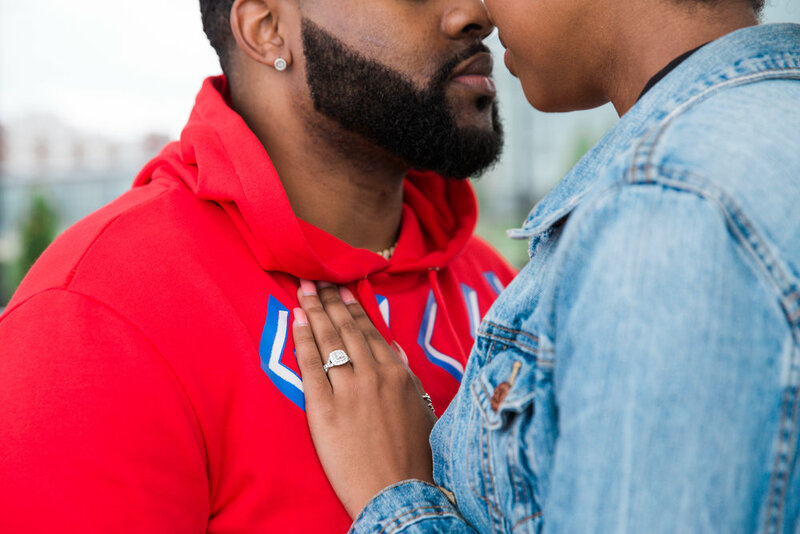 He knew that he had created the perfect proposal that she would never forget and thanks to a random e-mail sent to us, they will have the photos and video to look back on forever. If you’re interested in having your proposal captured, send us a random e-mail HERE.